Where does violence leave us? 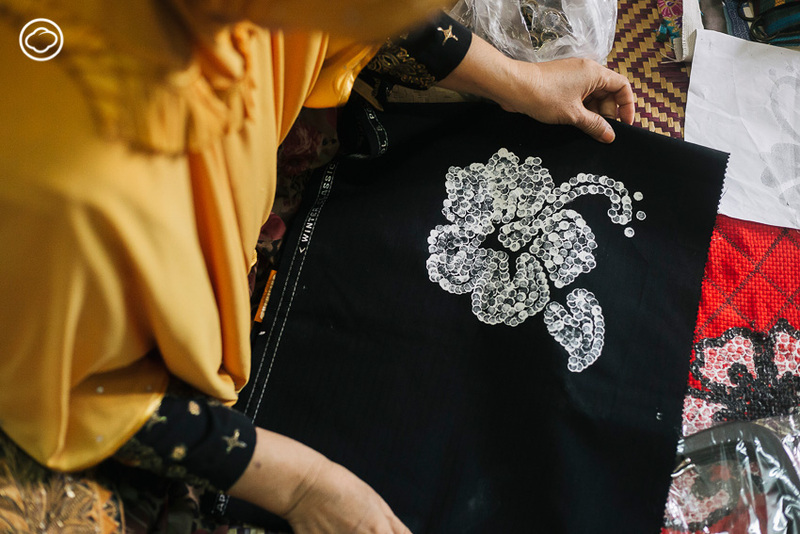 Violence rages in the three conflicted border provinces of Southern Thailand, affecting not only the men fighting, but also the mothers, wives, daughters, or sisters left behind. The consequences of such violence can linger in the everyday lives of these women for days, months, or even years. They are not just losing their loved ones, but also taking on new responsibilities. Their roles change from housewives to heads of their family. Such a role change comes with additional worries including finding a way to feed their children. In the heart of Pattani, a small shop called “Wanita Business Centre for Communities” has emerged. 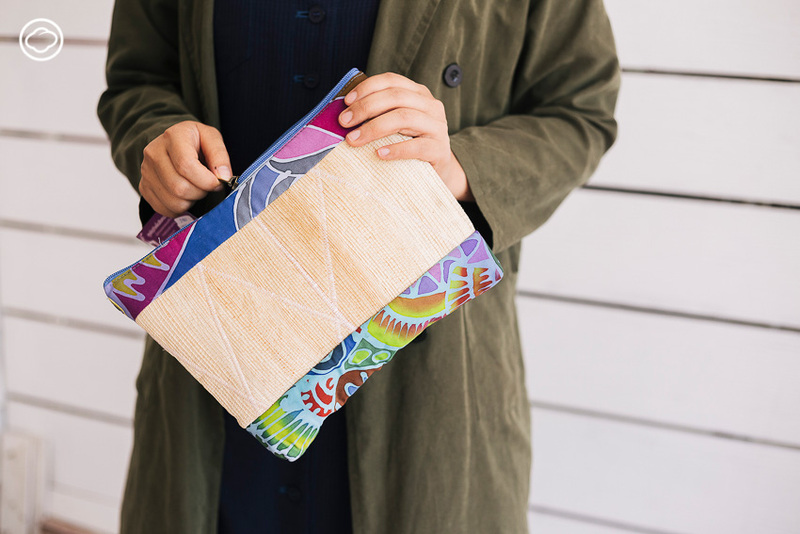 It is a shop that collects and sells handmade goods crafted by local women. 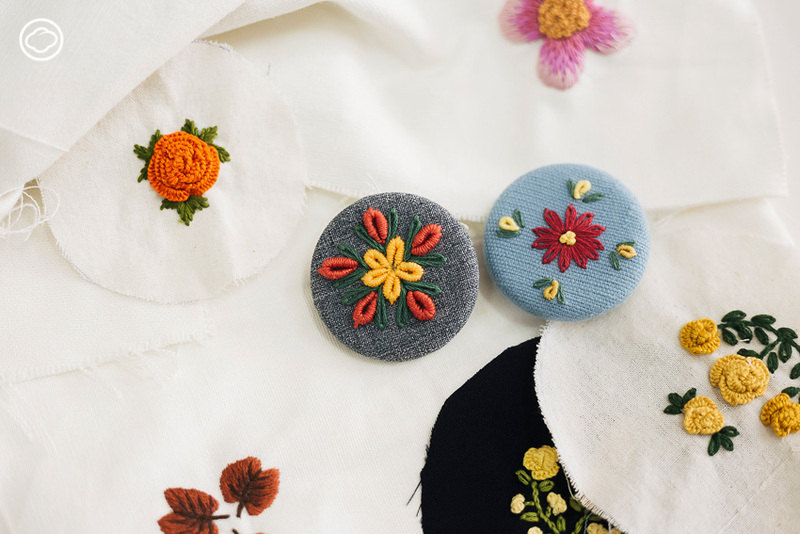 The produce on sale is not limited to handmade goods only. 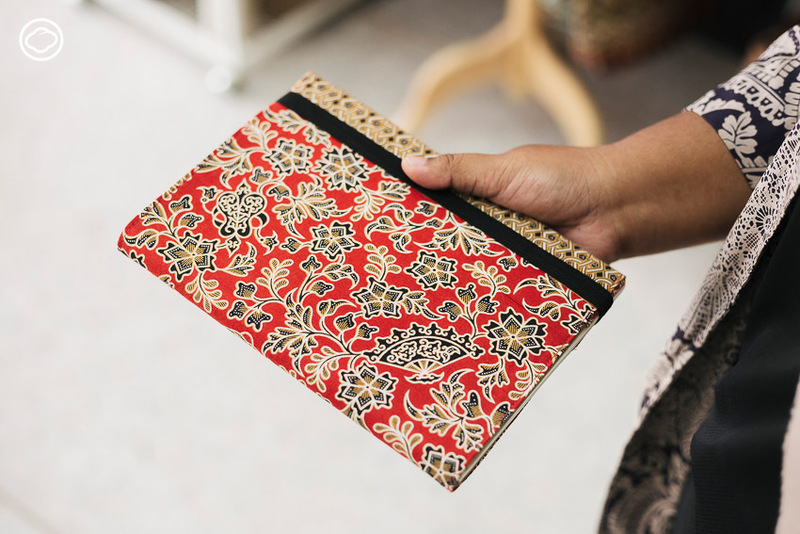 One can find almost anything that reflects the lifestyle and culture of women in this area. The shop has also expanded to make all products available for online purchasing. 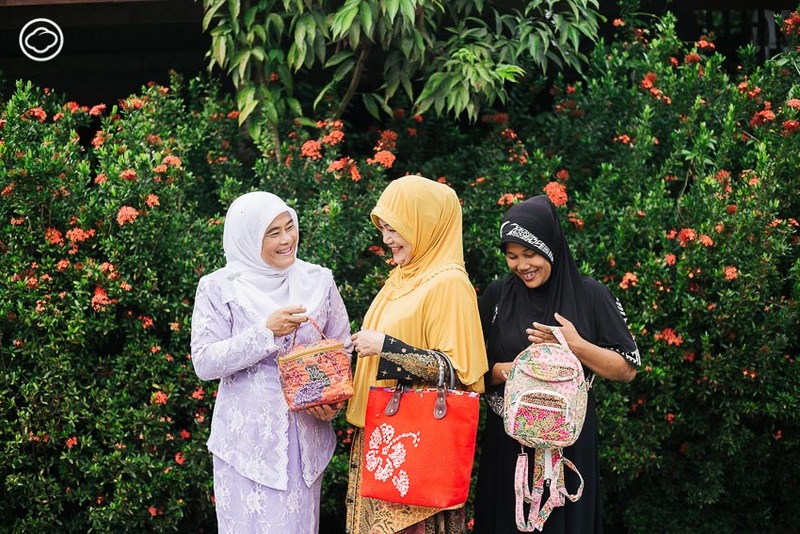 Before we go shopping, let’s explore how an inspirational organisation such as Wanita works. How this organisation sparks a fire in these ladies which leads to something so wondrous, even though it is fuelled by their tears. 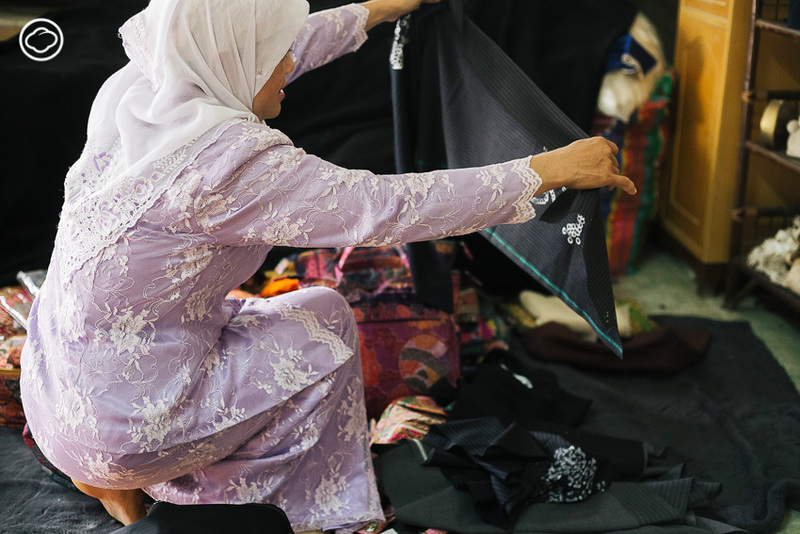 Wanita originated from OXFAM; a non-profit organisation based in the UK that assists people during severe situations. 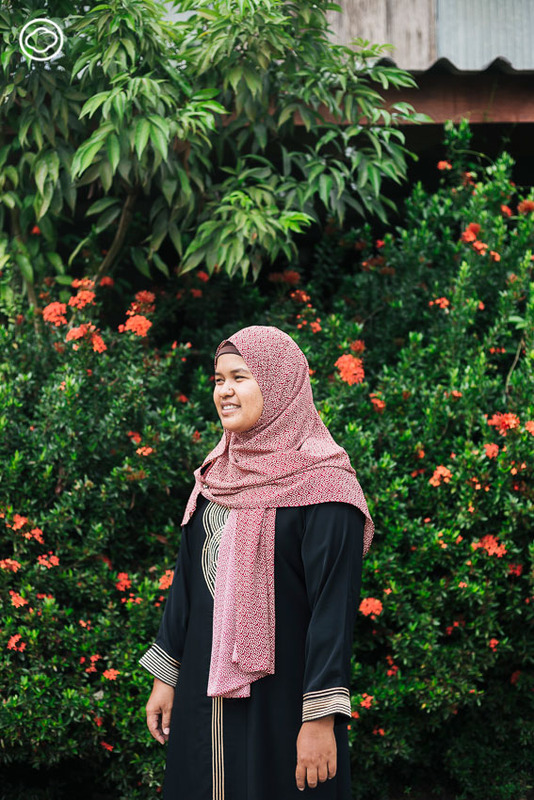 In combination with the Academic Coordination Centre to Assist Those Affected by the Unrest in the Southern Border Provinces, from the Prince of Songkla University in Pattani, Wanita was established. The turmoil across southern border provinces shows little sign of resolution, so OXFAM decided to focus on improving the economy of the region. The belief was that if the economy got better, the lives of the local women would also improve. Several studies have suggested that if a family’s income is managed by a woman, in particular, the mother, it will be beneficial for all family members with a focus on feeding and educating the children of the household. 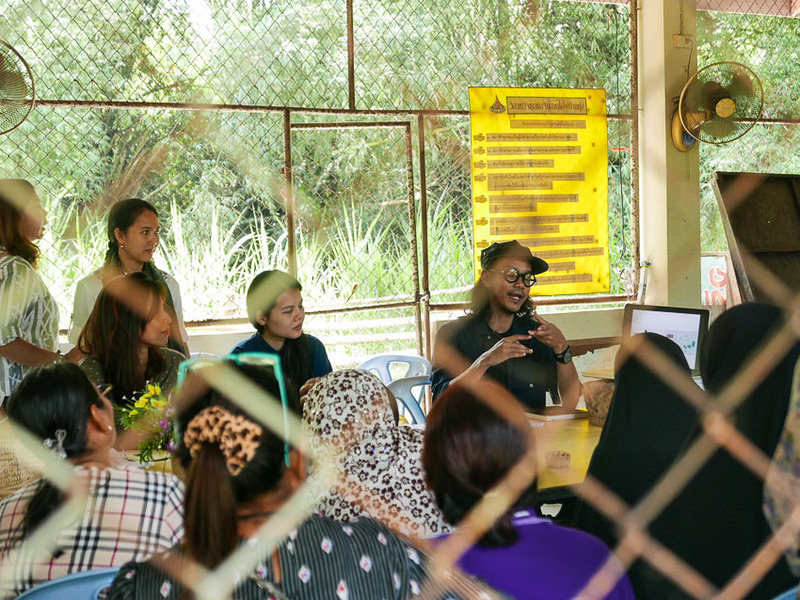 Women who participate in the project are locals from the three southern border provinces and from four red-zone districts in Songkhla, namely Jana, Natawee, Sabayoi, and Tepa. Most members are housewives and not wealthy. 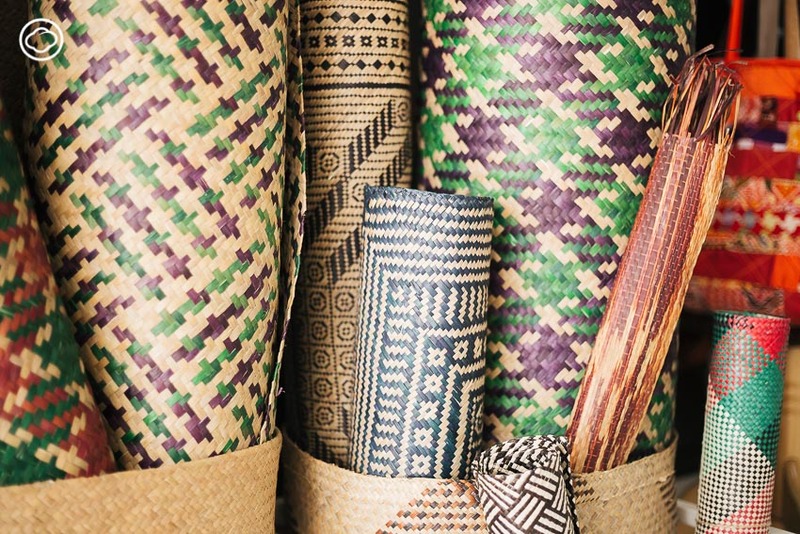 They do, however, possess skills such as sewing, cooking, and basketry. They have all lost the person who provided for their family, leading to a need to adapt and find a way to provide for their families themselves. 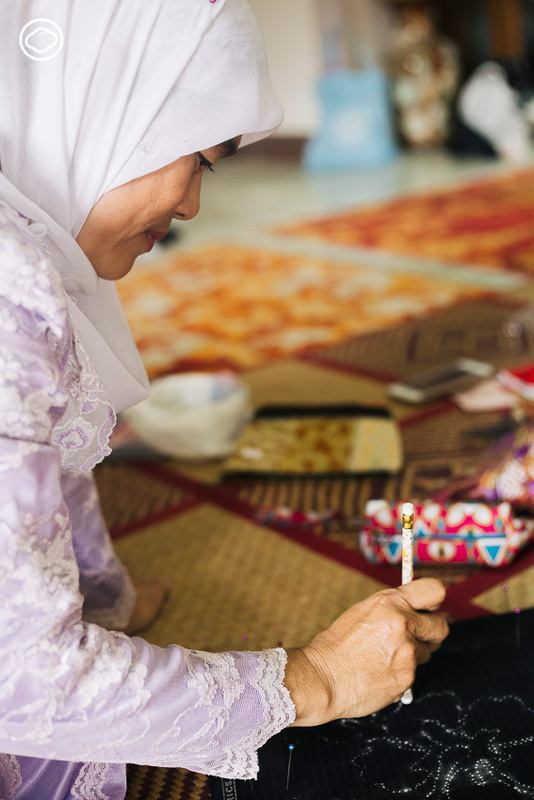 A housewife from Pattani had lost her husband. She became depressed and locked herself in her house for three years before receiving help and eventually getting better. 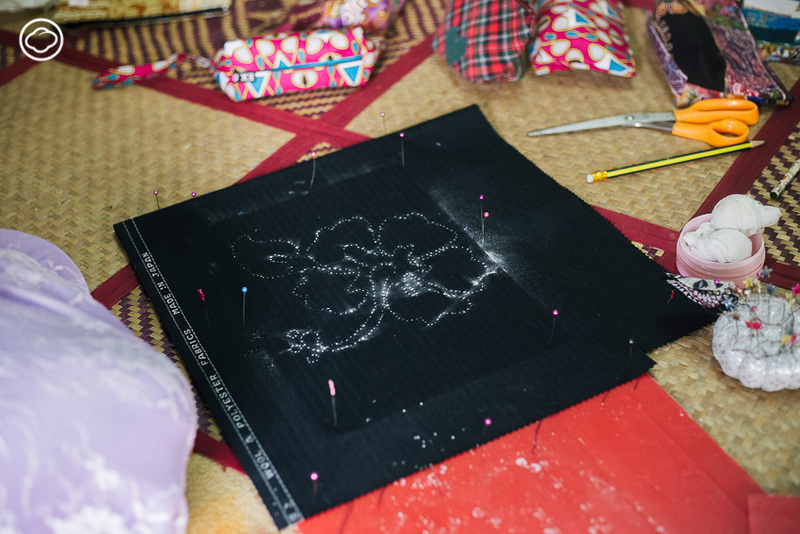 She adapted to a new lifestyle and met many new people while learning the various techniques involved in sewing Batik bags. 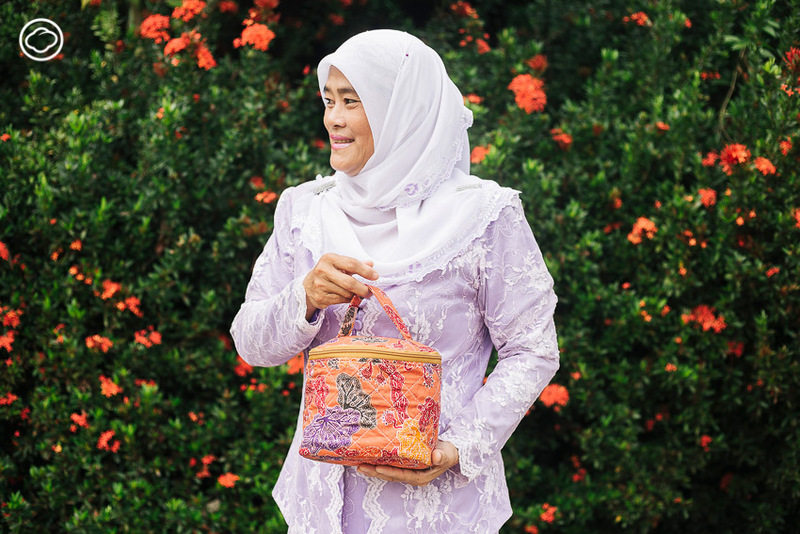 Today, she has progressed so much that she is now the leader of the women’s handmade product group in her village. The head of Wanita told us that they work with various groups of people because tragedy has no preference in its victims. It can happen to anyone. That is why Wanita works with all women, from any religion or background. 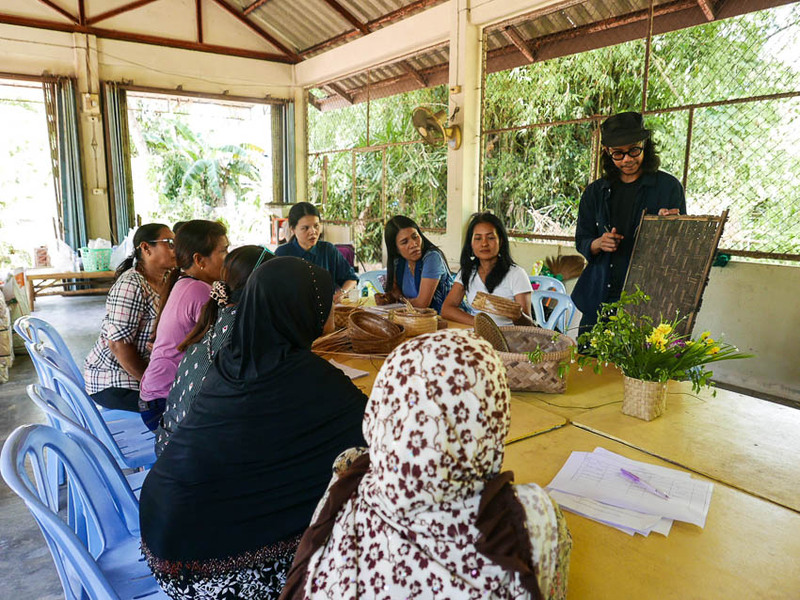 After years of working as part of OXFAM, the project has gained support from various other organisations including the Thai Health Promotion Foundation. 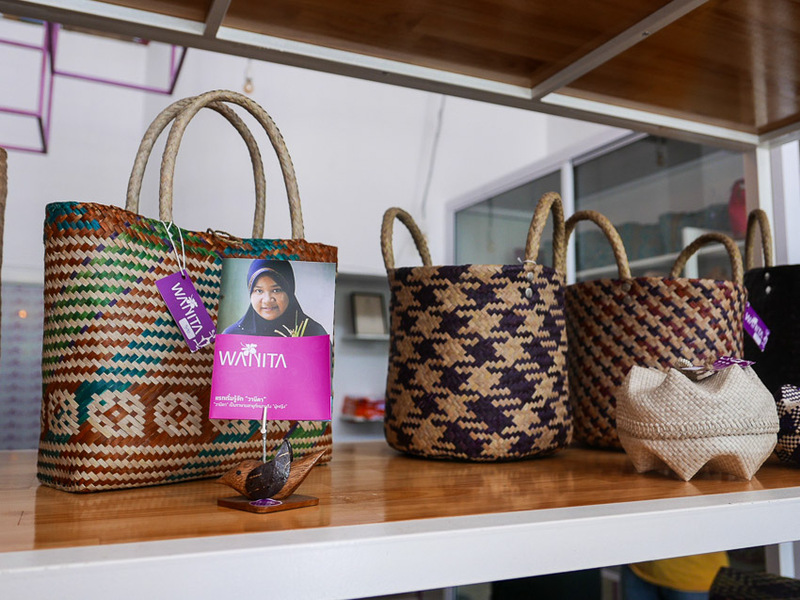 Their support has helped to create additional stability for Wanita, overseeing an expansion from 30 to 56 enterprises. 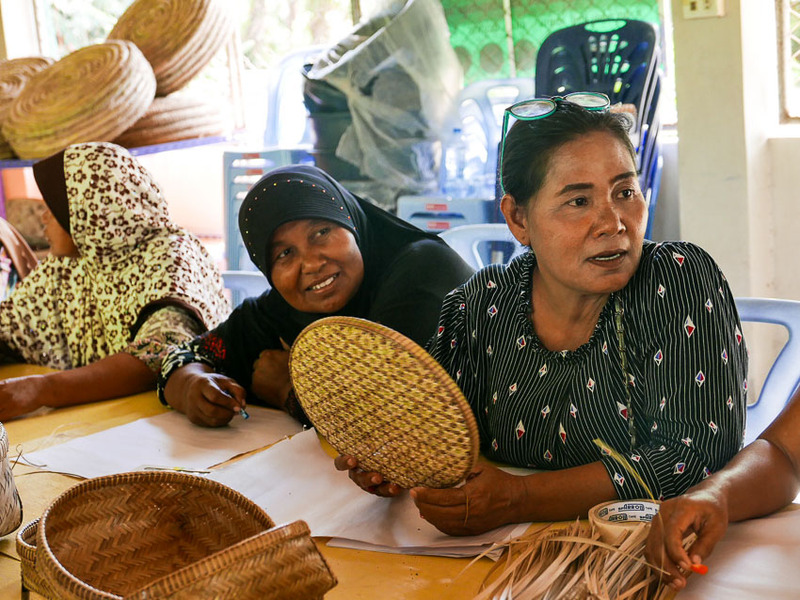 These groups play a huge role in creating jobs that utilise skills such as cooking, basketry, crafting clothing, and making souvenirs. 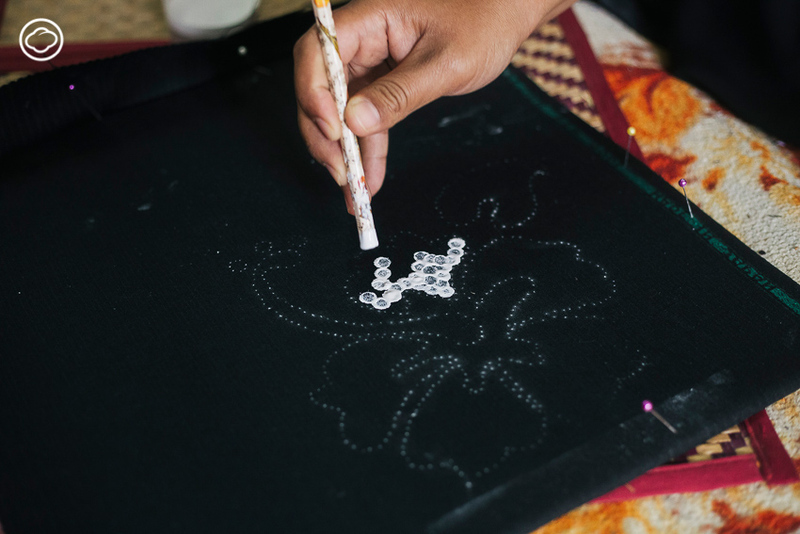 Wanita has helped to push these groups forward and encouraged them to improve themselves in any way possible. 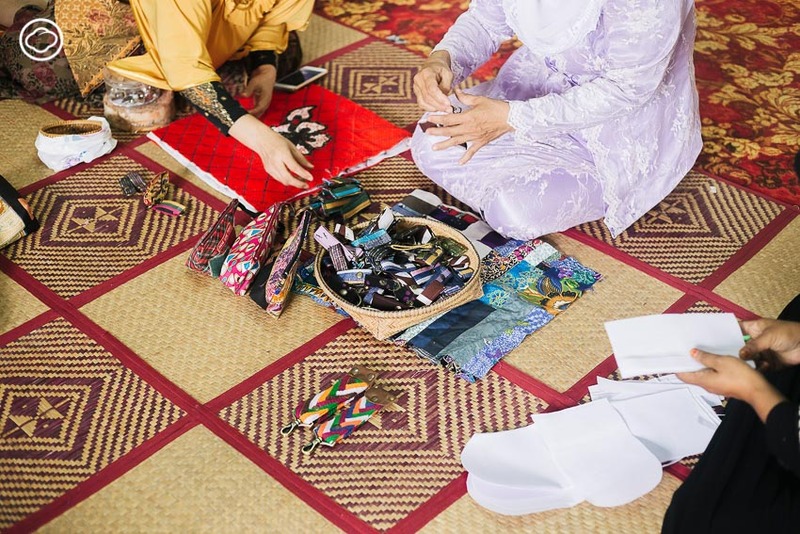 In addition, Wanita has also purchased the products created by these groups and put them on sale both in their store in Pattani and online. Each group can also sell their products independently to help boost their growth and income. To build on the potential in all women through educating them and encouraging their interests including product development, accounting, and marketing. To create a network of women, public organisations, and NGOs based in Bangkok to assist the project. To search for new markets where products can be sold such as hotels and organisations. To fund the members in suitable ways such as free aid and loans without interest. Ameenoh also told us about other interesting things happening at Wanita, like the delicious Gluay-Hin-Grob — a snack made from fried banana cooked with coconut oil. It is always sold out. Another interesting snack is Guepo, basically corn flakes but made from fried fish sourced from the coast of Pattani and presented in such stunning packaging. 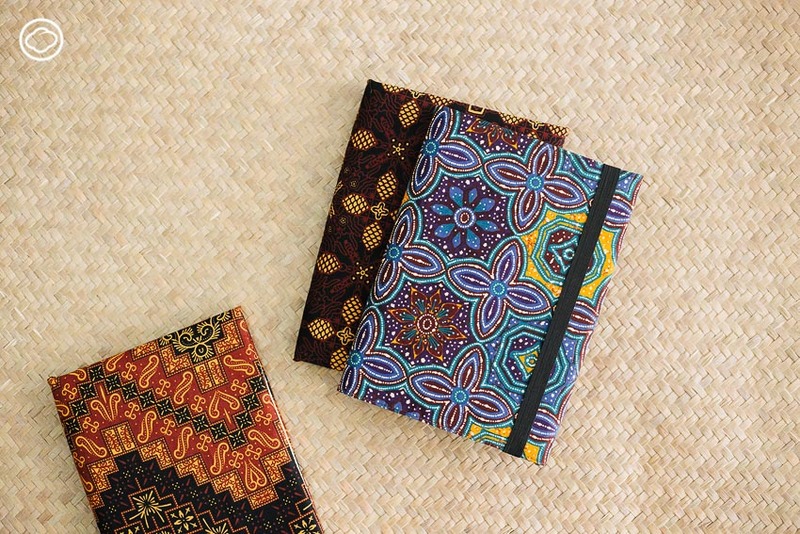 There are many other examples like a notebook made from banana leaves, Batik clothes which boast magical colours painted by the elder housewives group of Yala, coconut shell charcoal, basketry made from Krajood and Toei Panan, both of which are the plants that play a huge role in the basketry of Southern Thailand. All of these became a source of income for the locals and help to convince young people to stay at home. It is an opportunity for them to spend time with their family in their hometown while also reducing the number of Thais working illegally in Malaysia. 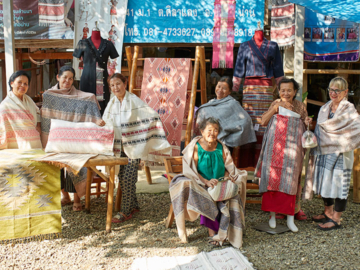 Each year, a small shop that collects handmade products from provinces around the southern border helps to create income for hundreds of people. 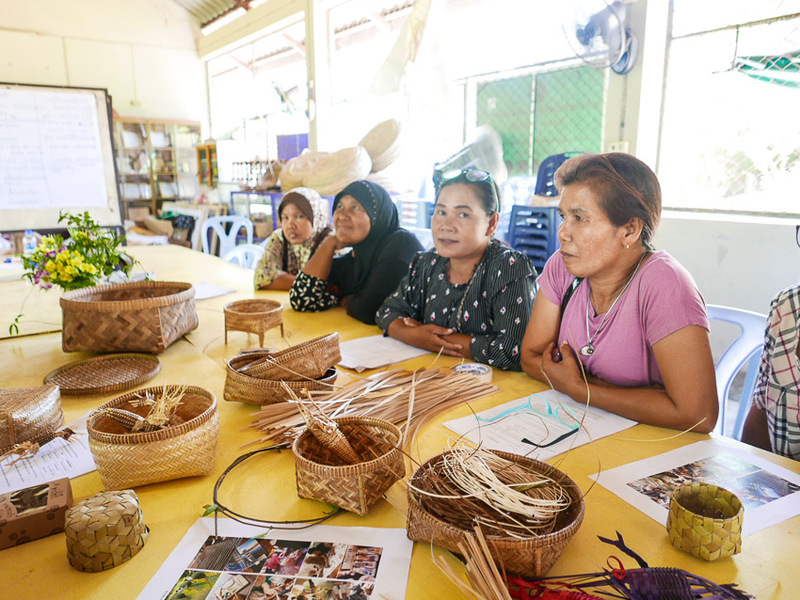 However, Wanita’s leader emphasises that a major factor which drives the handmade groups forward is the commitment of each and every member. 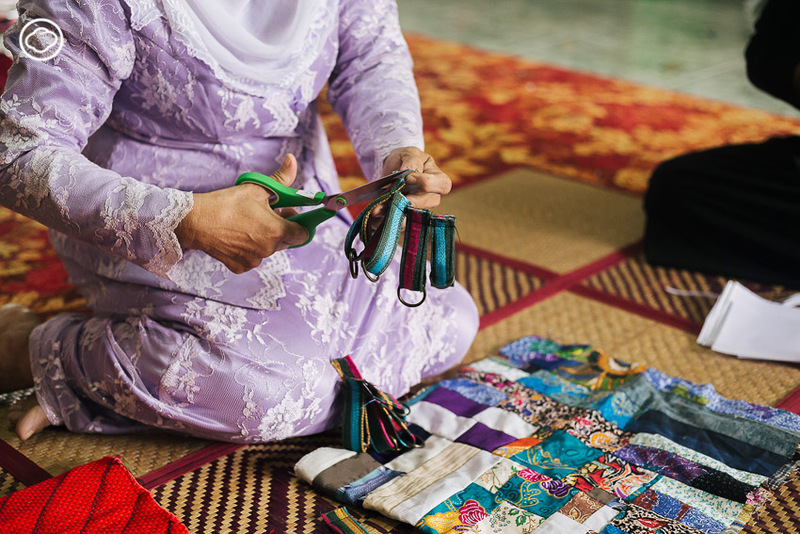 Currently, Wanita is receiving support from the British Council’s Crafting Futures Project which endorses the future of craftsmanship in order to recover and sustain the identities of cultures in Southern Thailand and also to support women in their handiwork. All works are a part of Innovative Development. 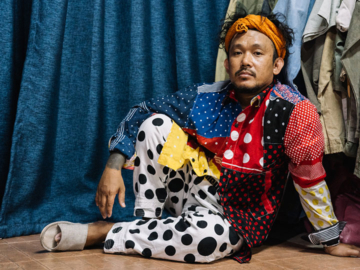 The British Council collaborates with the Innovative Hub of Prince of Songkla University (PSU) and designers from Applied Arts Scotland, a collection of skilled artists, designers, and craftsman from around Scotland and other countries. 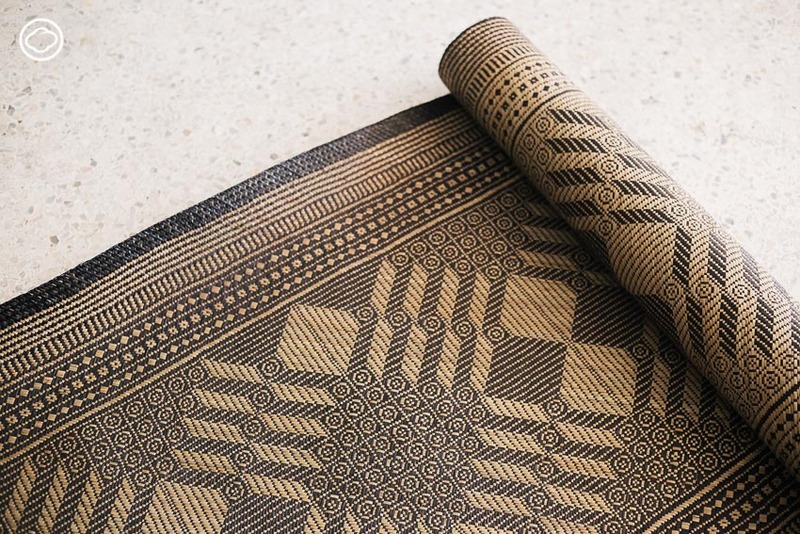 We also collaborate with PATAPiAN; a famous contemporary basketry brand from Thailand that maintains the identity of different cultures while bringing a contemporary twist. Together, we educate people from universities and local communities to work together. 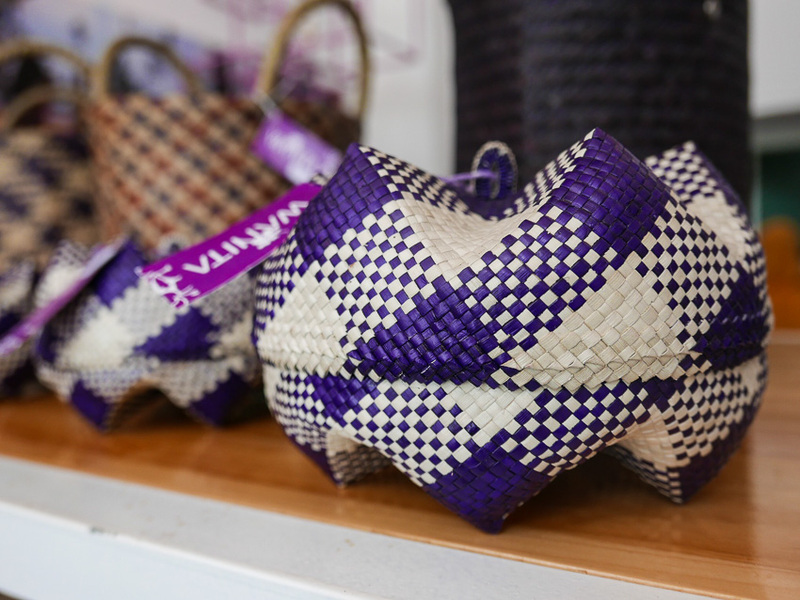 Representatives of the British Council guarantee that you will see new basketry from the community within two years! 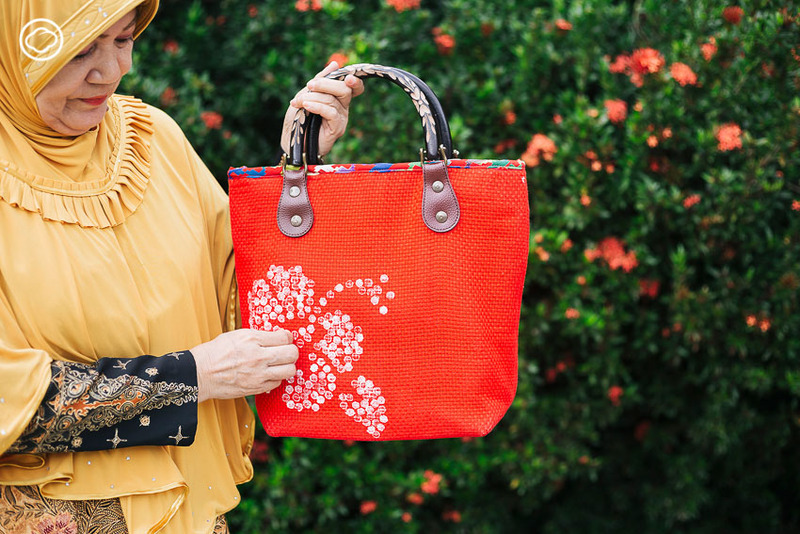 Other than handiwork, Wanita also has a plan to develop products that can create a collaboration between communities such as Wanita branded bags that are sewn in Pattani and then sent to Narathiwas for embroidery. 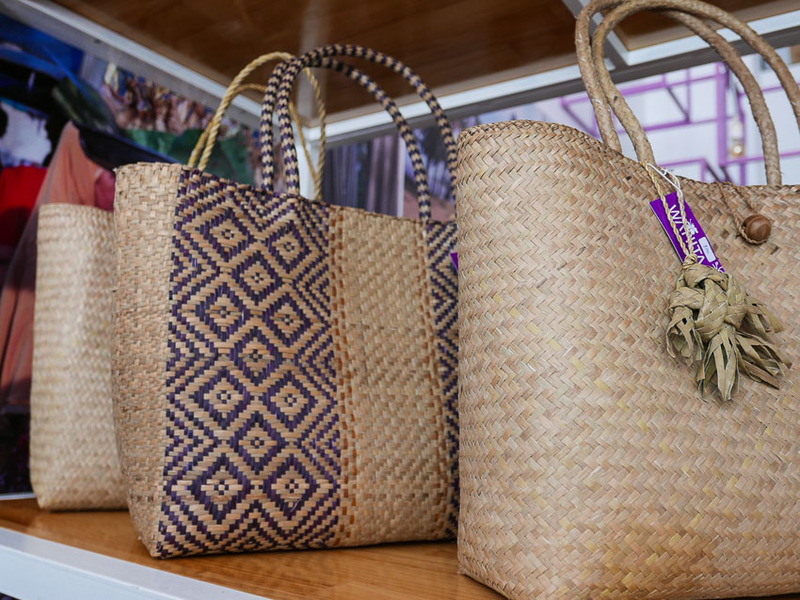 They can share the income made from these bag among their communities too. 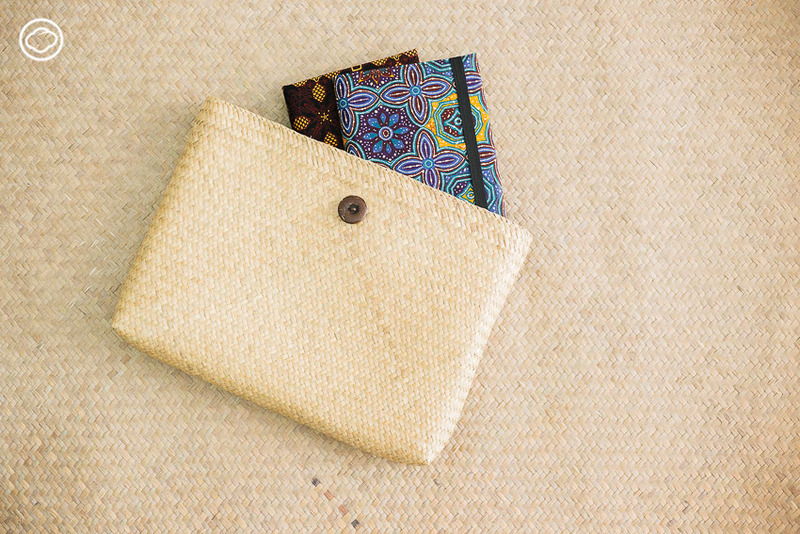 Every baht earned from these beautiful local products is divided into two halves. 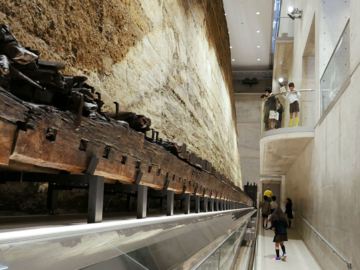 One half is given to the communities, while the other half is saved for future activities such as orientation and other benefits for the members. 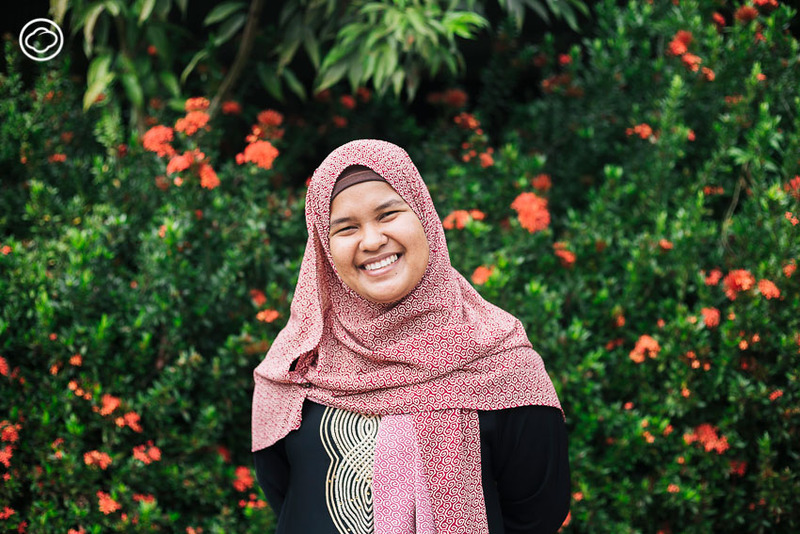 In the future, Ameenoh aims for the continued growth of Wanita to help stabilise the network of women across southern border provinces. Wanita may not put out the flame of conflicts for now. However, they at least put the tears of afflicted ladies on hold. The fire inside them has been ignited. Its heat will not harm anything but will become their strength and help them to arm their communities with magical local products. They are weapons against poverty and tragedy. To them and their families, this is the great war of their lives. 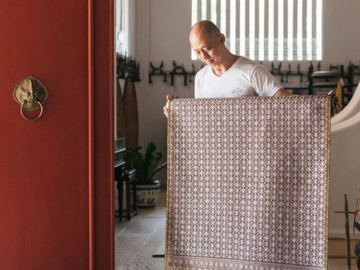 Crafting Futures is a project by the British Council that endorses craftsmanship around the world by creating a network for learning between the United Kingdom and other countries to assist designers and communities to improve their handiworks, boost sales, and make consumers see more value in craftsmanship. 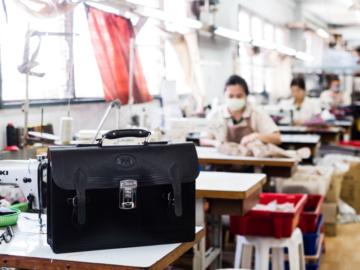 If you would like to know more about the developing procedures of craftsmanship, please read here. 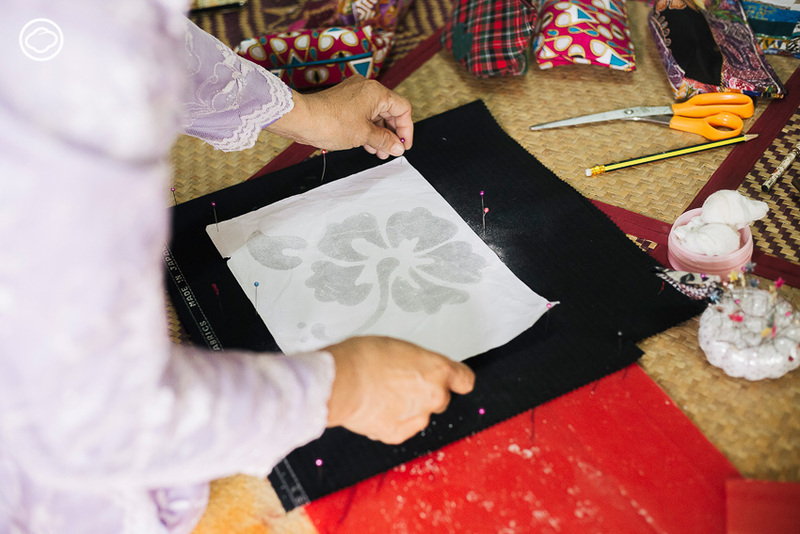 Phaeo Phafai : A former factory worker who is now the owner of a textile company in Nan Province, providing job opportunities for other girls in her hometown. 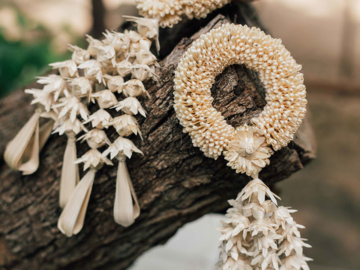 A brand which embraces the beauty of natural colour with traditional Tai Lue textures to create something new in fashion. 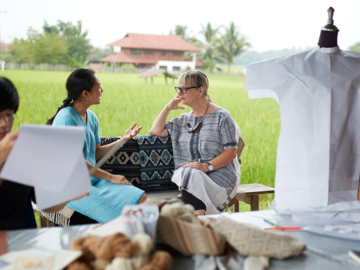 Alison Welsh: The former British fashion predictor now designs for handcrafted villages in Thailand. She left the front row of London fashion for a future in handwoven clothes. 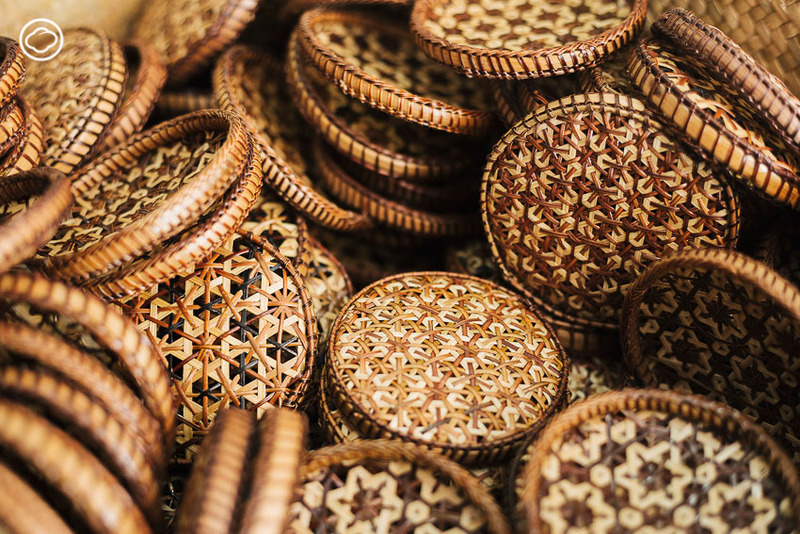 The Revolution of Thai bamboo basketry that creating jobs for Northern Thai artisans.